1-Cut a piece of cardboard into a rectangle. You decide the size. I used the front of a cereal box. 2-Cover the cardboard with scrapbook paper. I used my daughters glue stick to glue it onto the cardboard. I wrapped it around onto the back so no cardboard would be visible from the front. 3-Use pencil to lightly draw the shape of an egg. 4-Cut pastel colored fabric into circles about and 1 1/2 inches in diameter. Total I cute about 60 circles. 5- Use a hot glue gun to glue fabric flowers into place (using your pencil drawn egg as a guide). I only used two circles of fabric per flower but I make them similar to THIS. 1-Soak your wheat in water for about 8 hours. 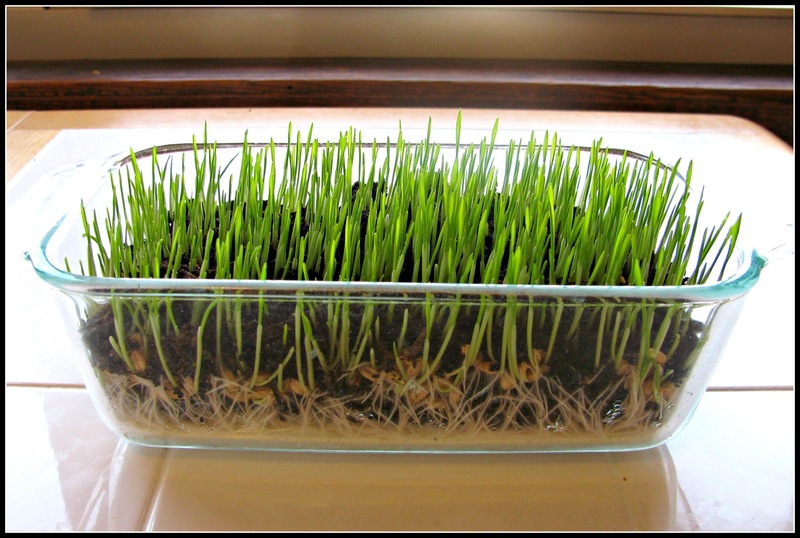 3-Drain wheat and spread across the soil. Spread them so they are touching each other but not overlapping. 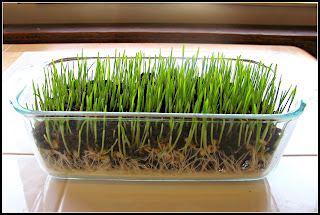 5-Wait a couple and you'll see your grass growing!!! 1-Cut a circle out of cardboard. 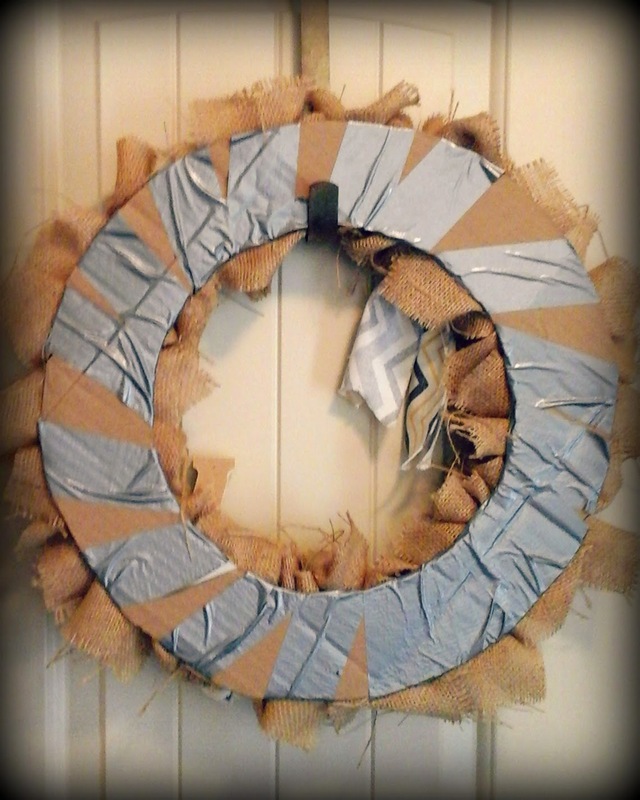 Make it the size you want your wreath. Then cut another circle inside of it. It will look like a big doughnut. Make sure the width of the cardboard circle is at least 3 or 4 inches so you have room to work with. I wrapped a little duct tape around it for strength. 2-Cut squares of burlap. About 3 inches by 3 inches. Bunch them up and hot glue them to the cardboard. Then hot glue anything you want onto the burlap. I made a bow out of a strip of extra fabric (gray and yellow chevron from Walmart). 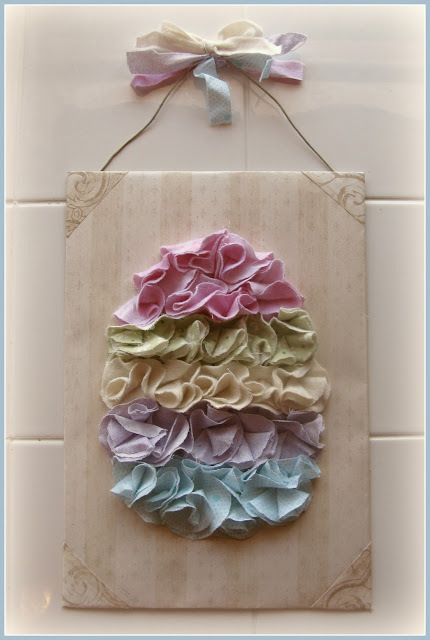 You can use felt or extra fabric to make little rosettes and glue them on as well. 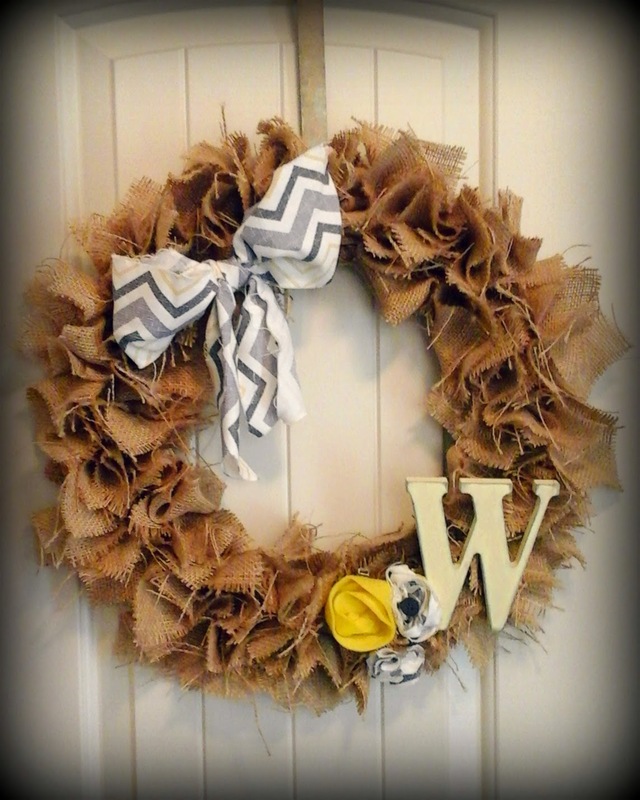 I bought a wooden "W" from Walmart and painted it yellow with a little gray paint dusted on the edges. So cheap, and sooo easy!